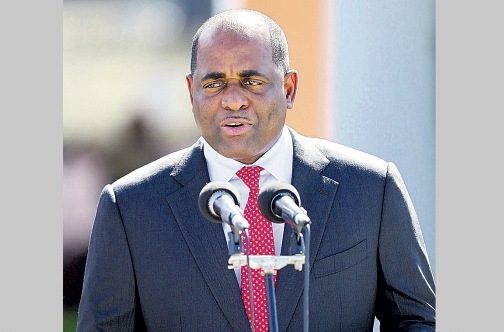 ROSEAU, Dominica (CMC) — Prime Minister Roosevelt Skerrit says the leadership of two opposition parties had planned to storm his office and “seize the seat of power” during Tuesday night’s disturbances that led to demonstrators setting fire to buildings and looting several businesses. In a radio and television address on Wednesday night, Skerrit said that the demonstrators who had been calling for his resignation and that of his government were being pushed by the “militant, irresponsible behaviour of the leadership” of the main opposition United Workers Party (UWP) and the Dominica Freedom Party (DFP). The protesters had earlier during the day staged a demonstration on the street of the Financial Centre where Skerrit’s office is housed, with Opposition Leader Lennox Linton and others defying a police command that their activities be held during the period 11:00 am to 3:00 pm (local time). “The police had information that the intent of the leadership was to stall the truck in front the Financial Centre and storm the barriers with the intent of entering the building. “This was the intent of the leadership of the United Workers Party and the Dominica Freedom Party. This is how they intended to seize the seat of power in the country. They would have stormed the Financial Centre Building and seek to occupy the building until their demands were met,” Skerrit said in his broadcast. He said the police had on Tuesday night made “several attempts to clear the road by removing debris placed in front and under the tyres of the truck so as to allow it to exit the area but that proved futile as the people continued to create an obstruction”. He said that Linton and three other opposition members, including two other legislators, had sought a meeting with the Superintendent (Ag) Matthew Cuffy, who was in control of the police squad at the event, but left after he “advised them to take control of their supporters and to clear the front of the truck,” which was also being used as a platform for the various speakers. “The driver of the truck was ordered to proceed due west but the truck could not be driven forward because the mob was blocking it, and the atmosphere of the crowd then started to deteriorate. 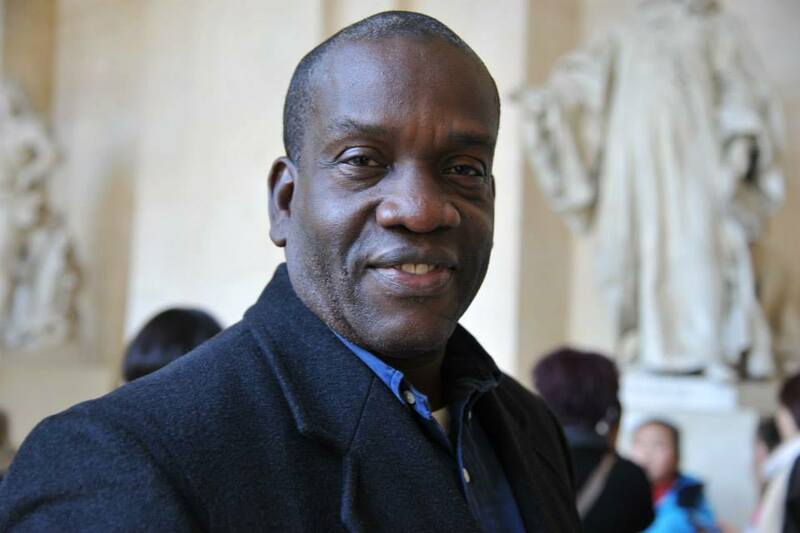 “In all this, the leadership of the UWP and DFP said or did nothing to contain the emotions of their supporters,” Skerrit said, giving his audience a detailed account of the agreement that had been reached between the police and the organisers to end the protest by 3:00 pm. He said that the agreement called for the speakers to adhere to the provisions of the Litter and Noise Abatement Acts as well as the Public Order Act. Skerrit said that the representatives of the two Opposition parties agreed to the terms and conditions set in the permission for the meeting, but that “so emotive was the language used, that the American Embassy in Barbados, you would recall, issued an advisory to American citizens in Dominica advising that they stay clear of the area earmarked for this event. Skerrit noted that notwithstanding the agreement to end the meeting at a scheduled time, Linton spoke for an hour and 15 minutes after the agreed time indicating that the meeting would only end when he said so. “The police repeatedly informed Mr Linton and other members that the meeting should end immediately, but he refused to comply. Fellow Dominicans, friends, and well-wishers, this is where the breakdown of respect for law and order began. “This is where a clear signal was sent to supporters of the combined United Workers Party and Dominica Freedom Party that the law was not to be respected and that they could do as they please. “This is when and where the cue was given for persons to do whatever they deemed necessary to forcibly and unlawfully remove a democratically elected government from office,” Skerrit said, adding that the events that later unfolded were “as a direct consequence and a result of the decision by Lennox Linton to say, in effect, ‘to hell with the police, we shall do as we please’. “There were other aspects of Lennox Linton’s address to the mob that had gathered, what could be construed as inciting lawlessness and acts of antisocial behaviour. But, this is all now part of a police investigation, which I will not speak to at this point as I do not wish to prejudice the matter. Skerrit said that during the disturbances on Tuesday night, live bullets were fired on the police by the protesters, who had clearly marked out the businesses to be looted and destroyed. He said 32 males were arrested for various offences in relation to the reported incidents and that investigations are continuing into the overall conduct of the meeting and protest action.